ExxonMobil is delivering social investment projects that add value to our neighbouring communities. Our footprint cuts across every sector of Nigeria’s socio-economic landscape. 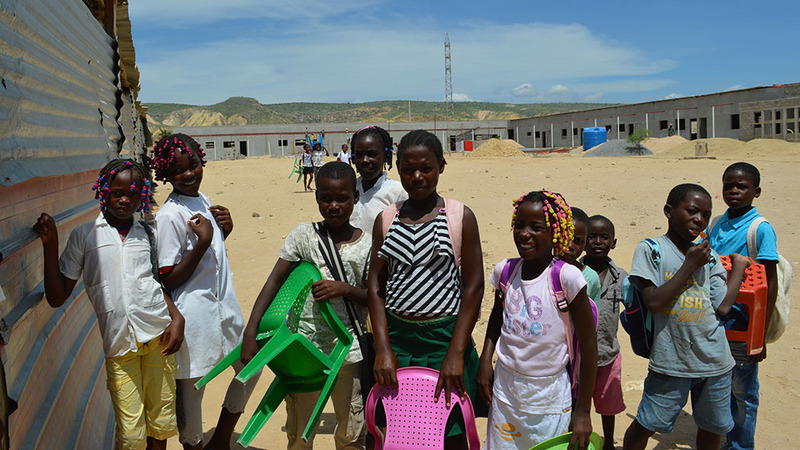 From education to economic empowerment, health, infrastructure provision and human capacity development, ExxonMobil has demonstrated its commitment to supporting communities in diverse ways. 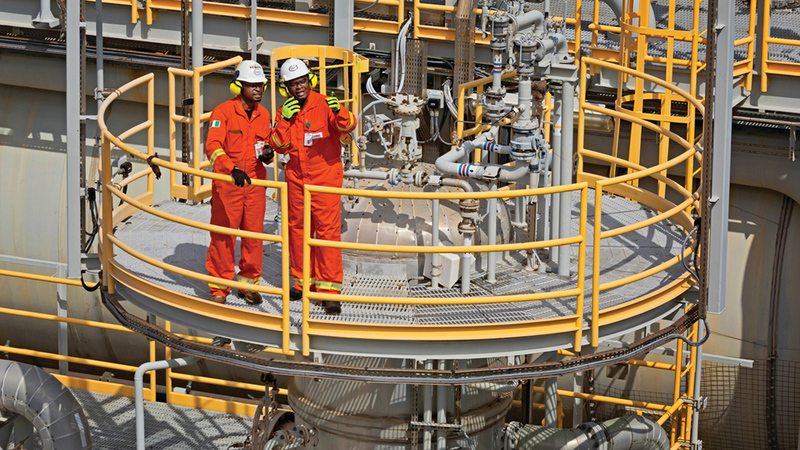 At ExxonMobil, we are at the heart of the Nigerian economy. ExxonMobil upstream subsidiaries power the economy of our neighboring communities as well as that of the nation with significant investments and financial commitments to economic growth. One of such investments is the new Owowo oil field discovery which is projected to boost Nigeria’s crude oil reserves by 1 billion barrels, with a potential earnings of over N3 trillion, in addition to various direct and indirect employment opportunities for Nigerians. At ExxonMobil, we are one with Nigeria and we have continually demonstrated this through our partnerships with think-tanks and thought leadership platforms such as the Lagos Business School Breakfast Club, Nigeria Economic Summit Group (NESG), Society of Petroleum Engineers (SPE), National Association of Petroleum Explorationist (NAPE) and the Nigeria Oil and Gas conference (NOG), amongst others to drive conversations and policies aimed at promoting growth of the Nigerian economy. ExxonMobil affiliates participated in the 2017 Nigeria Oil and Gas Conference in Abuja, using the opportunity to present the project successes of the previous year, and the potential benefits those projects could bring to Nigeria. The fair was organized to showcase opportunities in the upstream, midstream and downstream sectors of the Nigerian petroleum Industry, and to provide stakeholders with information on projects which would enable them to structure their business development strategies appropriately. 1/6 Paul Arinze (R), General Manager, Public and Government Affairs for ExxonMobil affiliates in Nigeria receiving the Excellence in Oil and Gas Industry award from Mr. Victor Okoronkwo Senior Vice-President (Gas & Commercial), Aiteo Eastern Exploration and Production Company Limited (L). 2/6 (L-R) Rt. Hon (Barr.) Onofiok Luke, Speaker, Akwa Ibom State House of Assembly; Oluseyi Afolabi, Executive Director, Mobil Producing Nigeria Unlimited; Sadiq Adamu, Executive Director, Mobil Producing Nigeria Unlimited; Mohammed Barkindo, OPEC Secretary General; Ibe Kachikwu, Minister of State for Petroleum at the ExxonMobil booth during the 2017 Nigeria Oil and Gas conference in Abuja. 3/6 Sadiq Adamu, Executive Director, Mobil Producing Nigeria Unlimited (middle) speaks at the Industry Leaders’ Panel during the 2017 Nigeria Oil and Gas Conference. 4/6 Sadiq Adamu, Executive Director, Mobil Producing Nigeria Unlimited guides Ibe Kachikwu, Minister of State for Petroleum through the ExxonMobil exhibition booth at the 2017 Nigeria Oil and Gas conference in Abuja. 5/6 (L-R) Udom Inoyo, executive director, ExxonMobil affiliates in Nigeria; Paul McGrath, chairman and managing director, ExxonMobil affiliates in Nigeria, Udom Emmanuel, Governor, Akwa Ibom state. 6/6 (L-R) Udom Inoyo, executive director, ExxonMobil affiliates in Nigeria; Udom Emmanuel, Executive Governor, Akwa Ibom state. The Erha North Phase 2 project is a deepwater subsea development located 60 miles offshore Nigeria in 3,300 feet of water and four miles north of the Erha field, which has been producing since 2006. The project, which was completed five months ahead of schedule and under budget is estimated to develop an additional 65,000 barrels of oil per day at peak production. 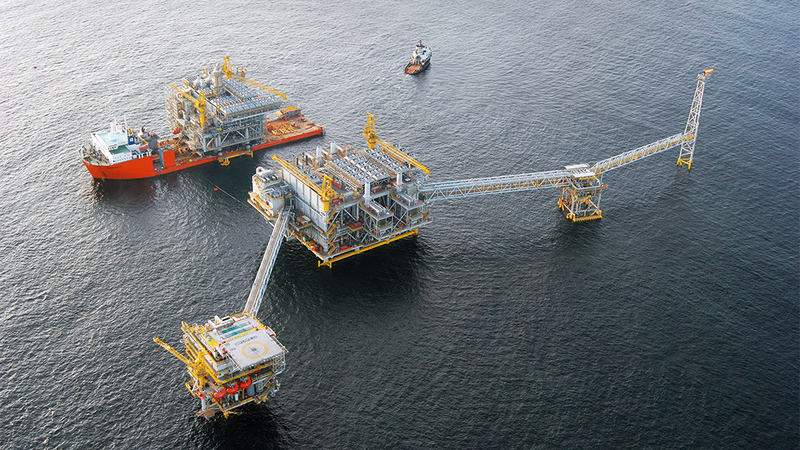 The project’s ahead-of-schedule startup was supported by strong performance from Nigerian contractors, which accounted for more than $2 billion of project investment for goods and services, including subsea equipment, facilities and offshore installation, which brought direct and indirect benefits to the Nigerian economy through project spending and employment. The successes recorded by ExxonMobil on the Erha North Phase 2 project could be replicated in its recently discovered Owowo field given the right operating environment. 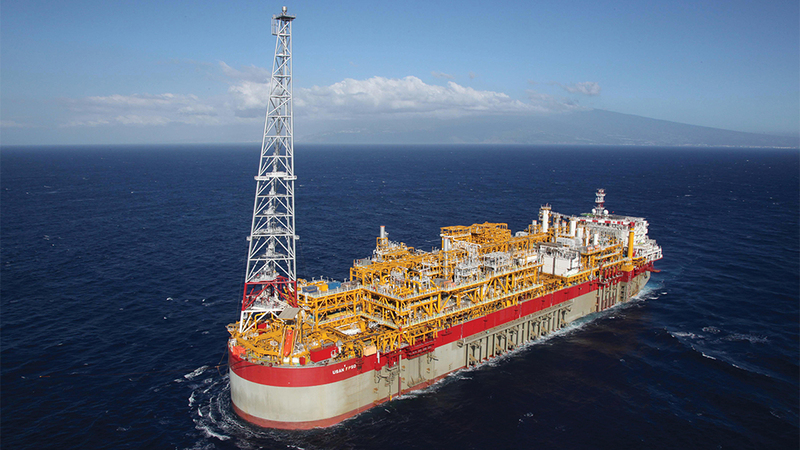 The Owowo field, offshore Nigeria has a potential recoverable resource of up to 1 billion barrels of oil and N3 trillion in potential revenue to Nigeria. The Owowo oil field has the potential to provide several new employment opportunities for Nigerians once production begins. The implication of this is increased revenue to the Nigerian government in form of taxes and royalties, as well as a boost to the national economy. In recognition of its contributions to the development of Nigeria’s economy, ExxonMobil received the award for ‘Excellence in Oil and Gas Industry’ at the 2017 Nigeria Oil and Gas Conference in Abuja. The award was given during a dinner event hosted by the Nigerian National Petroleum Corporation (NNPC). 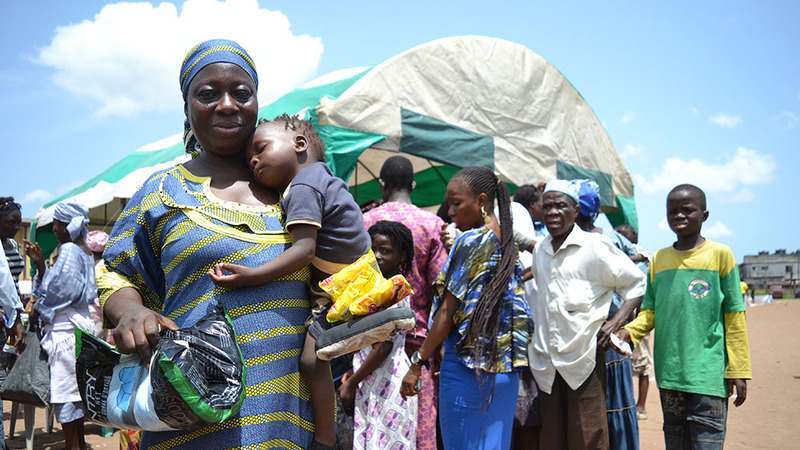 Learn more about our activities in Nigeria. We have shaped our approach to focus on education at a variety of levels, such as granting scholarships and developing educational facilities. Our multi-tiered approach focuses on developing societies through local capacity building. Meeting the increasing demand for energy poses many challenges: increasing efficiency, developing new supplies and safeguarding the environment. Technology will play a critical role in meeting these challenges. We strive to be at the forefront of technological innovation in order to prepare for the future energy marketplace. ExxonMobil Nigeria communicates information about its businesses through various publications, brochures and reports.